« Largemouth bass fiddle and the chaos theory. Hehe. 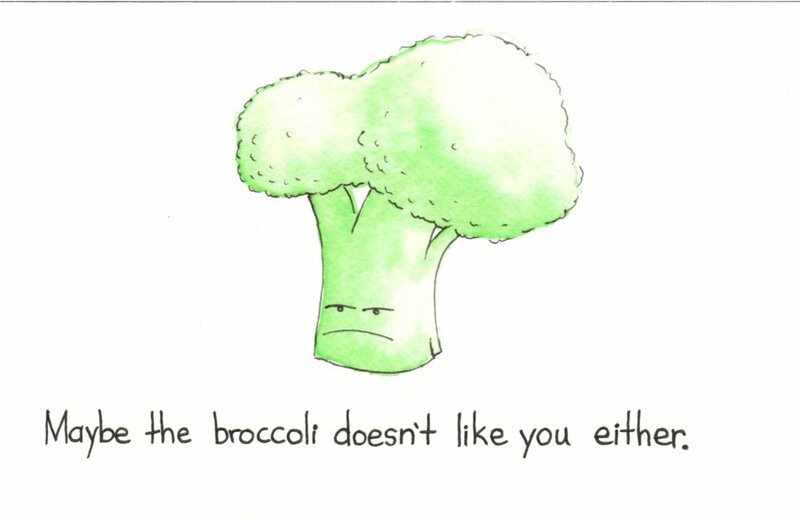 I love broccoli – brussels sprouts too – and never understood people’s dislike for it. Mmmm. Brussels sprouts. I think these may be the two most misunderstood vegetables. Since so few people like them, you’d think they would be cheaper. Saw this on Reddit. I love it. Anyway we could get this as a T-Shirt? I’m assuming you are the same kind fellow who emailed me today and asked the same question. I’ve had the same question a number of times, but the idea of it being a kid’s shirt won me over. I redrew the image so that it would transfer to a t-shirt better and I think it looks pretty snazzy now. So… the answer is yes, you can get it as a t-shirt. Let me know what you think!